Brentwood Home mattresses are designed, developed and hand crafted in California. The Sequoia combines the best of two great support foams. 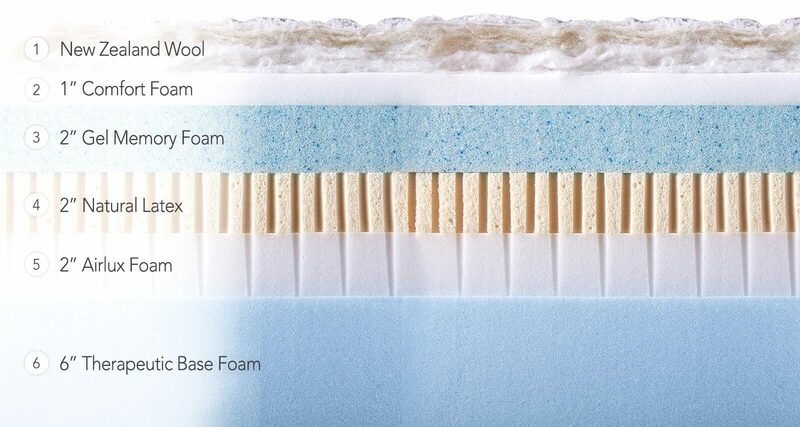 ​The buoyancy and bounce of Natural Latex is a perfect compliment to the conformity and pressure relief of Cooling Gel Memory Foam. 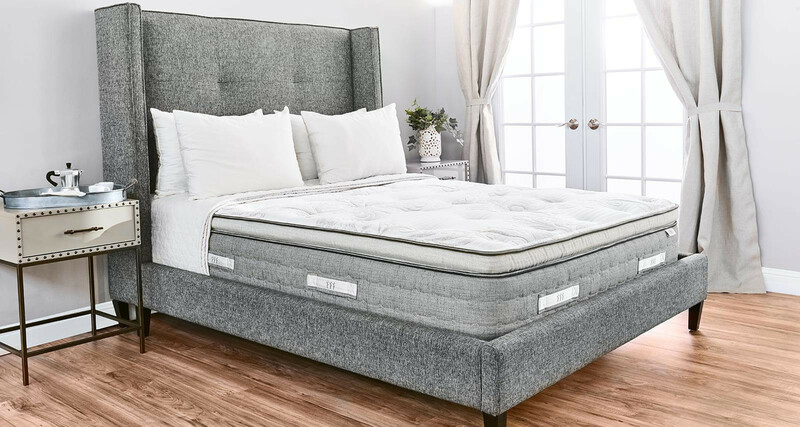 Therapeutic Base Foam provides stability and structure, while Airlux Foam helps keep the bed cool by allowing air to flow through the mattress. A 1" layer of Comfort foam delivers yet another layer of support which is then topped with New Zealand Wool. The naturally cooling fibers of the wool, wick away heat and moisture from your body for a cooler more comfortable sleep. The Sequoia is a Medium Firm feel that is Ideal for Back and Stomach Sleepers. Great support and alignment without causing pressure on the spine. The Sequoia by Brentwood Home has earned a BestSlumber.com 4 out of 5 Star rating in our Best mattresses under $2,000 catagory!